We Suggest replacing the Ant Gel with our Refill kit every 6 months to keep life safe for your critters. Sometimes mold will begin to grow in the ant farm due to the animals dying. Try to remove these from the kit as soon as the ants bring their fallen comrades to the top. Other times you may want to use the ant gel refill kit is when buy live ants. These guys do not want to live in an old dirty colony so let the start out fresh with new gel. Remember you will be getting the Dry powder in bag or vial of this . Once adding the water you will have the total volume. 1 Gal is after water is added. Can be used as a replacement for the Uncle Milton sand antfarms, and Fascinations Antworks habitats. These directions are only provided on-line here for the refill kit. one test tube into the water while stirring gently. Continue stirring for 15 seconds. Microwave the mixture for 1 minute. When it is done, take it out and stir for 15 seconds. minute. Once the minute has passed, stir for another 15 seconds. Be careful; the mixture is hot! microwave in 45 second increments and stir until it is crystal clear. done, add ants right away or cover the farm with the old lid until you receive your ants. compatible with our product. We recommend the Live Red Harvestor ants here. 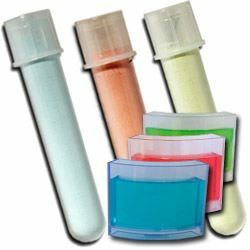 Remember to order your refill ant gel kit that works with Fascinations antworks, Uncle Milton Ant Farms and others. The single use gel comes in bag or vials and make approximately 1.5 Cups of Gel for your colony. Instructions are only listed on the website. Be sure to clean out your existing ant farm prior to using and let dry. 12.6 grams (0.44 oz by weight) of gel powder = 12 fluid oz (by volume) of finished volume = 1 habitat 135 grams (4.75 oz by weight) of gel powder = 1 gallon finished volume = 10.67 habitats Note the distinction between ounces measured by weight and ounces measured by volume. We prefer to measure our powder in grams to avoid any such confusion. Instructions are only online.